The Unicornos were once simple little ponies that were out trotting when they wandered into a magic waterfall. Passing through the waterfall, the ponies transformed into unicorns and found a hidden magical kingdom! 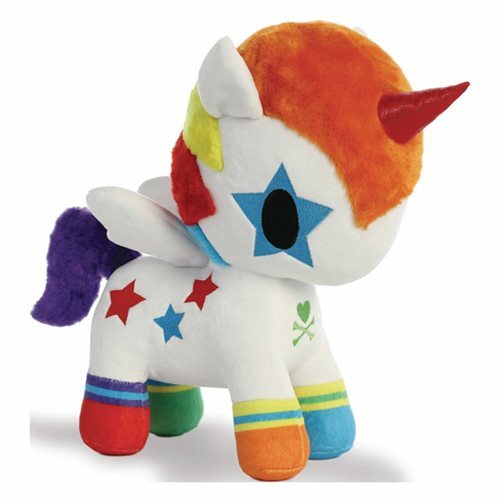 Now, fan-favorite Unicorno character Bowie can be yours as this super-soft Tokidoki Unicorno Bowie 12-Inch Plush from Aurora World. Ages 15 and up.